Wild Birds Unlimited: Do I need to change my bird seed when the seasons change? a store that provides a wide variety of supplies to help you enjoy the birdwatching hobby. This blog was created to answer frequently asked questions & to share nature stories and photographs. To contribute, email me at bloubird@gmail.com. Do I need to change my bird seed when the seasons change? 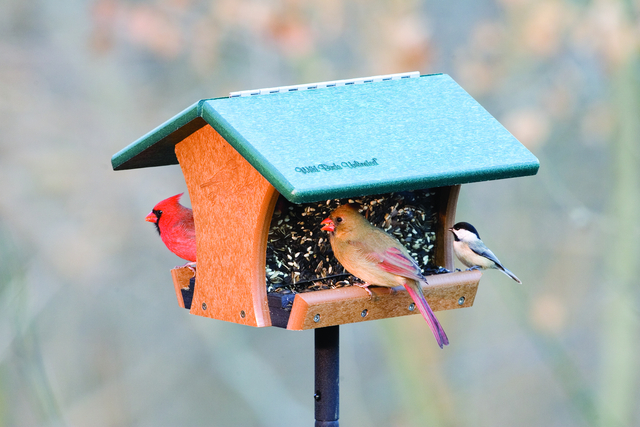 I'm so happy you are enjoying your new feeders! I use the Wild Birds Unlimited No-Mess blend year-round. It keeps all the birds happy and doesn't mess up my garden too much. 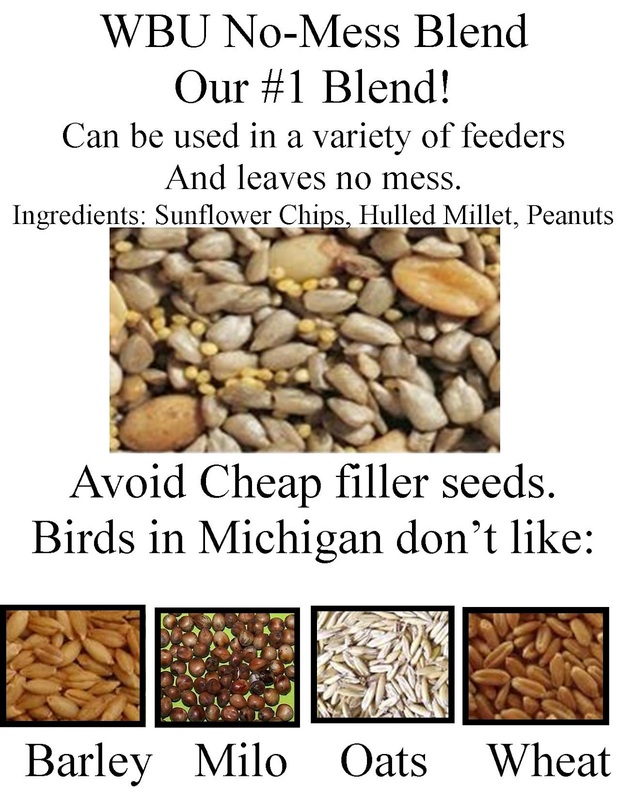 For seed eating birds in Michigan studies indicate that Black-Oil Sunflower, Fine and Medium Sunflower Chips, Peanuts, White Proso Millet, Safflower, and Nyjer® Thistle are among the most preferred seed types. At the East Lansing Wild Birds Unlimited store, customers’ and birds’ preference by far is WBU No-Mess Blend. Our unique No-Mess Blend features seeds that have had their shells removed so only the meat of the seed is left. No hulls on the seeds means no hulls on the ground and the seed won’t sprout either. Pound for pound, our No-Mess Blend offers the best value because you do not pay for the shells. The birds eat everything. One 20# bag of No-Mess contains at least twice as much seed as a bag with shells. Besides the No-mess we have several other blends that are regionally formulated to attract the birds that live in our area. 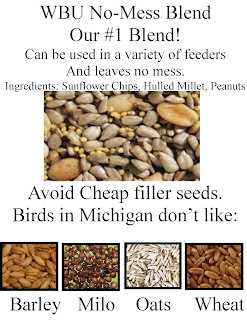 We do not include cheap filler grains like oats, wheat and milo that decrease the price per pound of a mix and aren't eaten by the birds in Michigan. Wild Birds Unlimited blends actually end up costing less to use while attracting more of the birds that you want to watch. Seed comes in every Tuesday. If you come early enough you can watch me load tons of seed into the store. And if you want to buy bags of seed right off the pallets, you are very welcome. I'll do my best to respond quickly.